Rakusan did not include the Fan Series in his main sequence numbering. Therefore, the original number used for each of the 36 Series prints has been modified to identify the Fan Series members of its theme. The five different fan silhouette shapes have been here assigned arbitrary numbers 1 through 5. To indicate a fan design these shape designations are added to the 36 Series number separated by a hyphen. 117-5 is the Fan Series design with fan shape 5 in the 117 Winter Tree-peony theme. Like all other designs in this series, 117-5 was only produced in a single print run, and few copies are currently documented. Earlier in the 36 Series Rakusan had created another tree-peony theme. The earlier 103 Tree-peony theme is also perfectly regular in arrangement and content, but each of those designs bears early signature and seal markings. The designs in the two tree-peony themes also differ in execution with the petals in the 117 Winter Tree-peony theme filled with scribed parallel lines, and those in the 103 Tree-peony theme more silhouette-like. 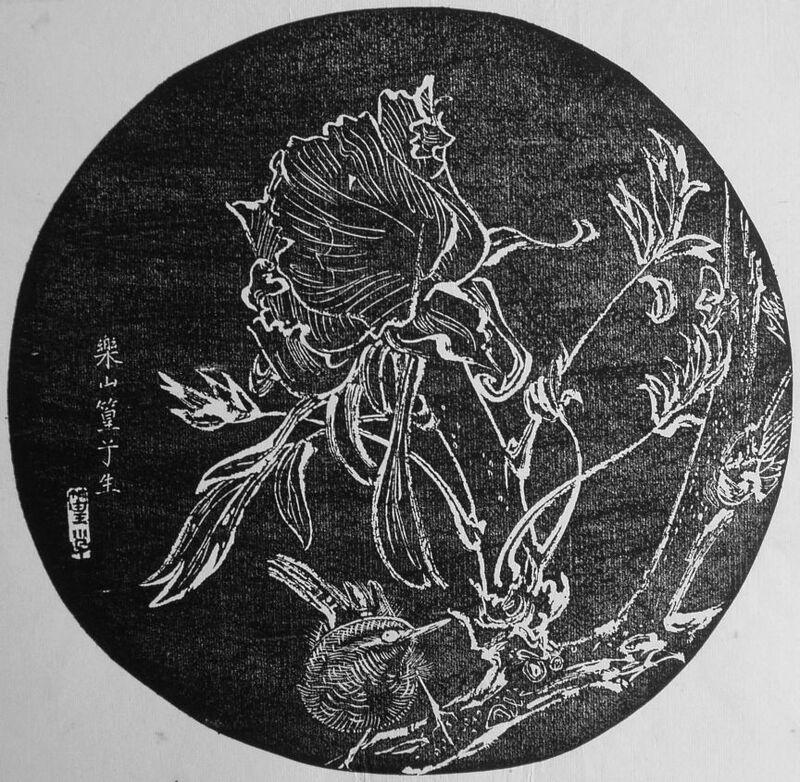 The 103 Tree-peony theme represents a separate earlier addition to the series which (apart from its related subject) is entirely distinct from the 117 Winter Tree-peony theme. The pairing of the wren with the winter-blooming tree-peony is a traditional Japanese symbol of the winter season. It was also one of Rakusan's favorite subjects and he illustrated it in at least five surviving designs. The pairing occurs here not only in 117-5, but also in 117 and 11alt and 11. 117-5 and all but one of the other designs in the 117 Winter Tree-peony theme have seal C, including the 36 Series design 117. This suggests that all of their wooden blocks were carved during the first half of 1934. Rakusan deliberately delayed printing for several months after those blocks were ready. 117-1, the remaining design was carved later to complete infilling the quintet, perhaps only just before publication. 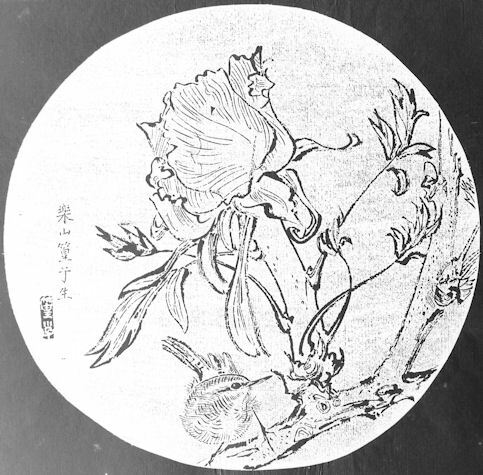 The composition of 117-5 includes a tree peony branch with a slightly opened bud. Perched on the branch is a wren. All of the design elements are rendered as detailed line drawings which look equally well viewed as ishizuri or in the original.